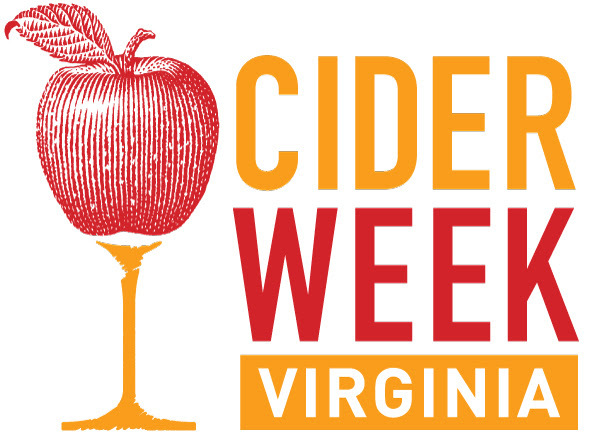 1) Cider Week Virginia—one of the country’s longest-running cider weeks—opens today. Highlights include the Richmond Cider Celebration, the Alexandria Cider Festival, the Cider Smackdown at Albemarle CiderWorks in North Garden, and the Southern Cider Tasting at Foggy Ridge Cider in Dugspur. 2) Pioneering cidermaker Diane Flynt announces her retirement with Final Call, the last release from Foggy Ridge. 3) Eve’s Cidery takes you behind the scenes of Fermentation. Julia Wayne writes for Cidercraft on About That Bubble: 5 Textures of Cider. And Dan Pucci writes for Cider Culture on Playing the Long Game: Maturation, Development and Evolution of Cider. 4) Sonoma’s cider houses are alive — but for how long? explores why apple production is on the decline despite a boom in the area’s craft cider scene. 5) Armageddon Brewing launches a Kickstarter campaign to become one of New Jersey’s first non-orchard-based cider producers. Garden State cidermakers were required to grow at least 3 acres of fruit prior to new laws passed this May. 7) Max Allen reflects on a “passionate champion of the real thing” in Australian Cider Awards honour Drew Henry. Allen also reviews three award-winning ciders from this year’s competition. 8) Cider Sleuth recaps the Harvestime festival in The Perry Pear Rocks The Big Apple. (Don’t miss Tom Oliver on the nature and history of perry, recorded at Franklin County CiderDays.) And The Cider Crate recaps the Toronto Cider Festival. 9) On tap: The Core Pour in Santa Paula, California; the opening of NC Cider Week; and the Fête du Cidre à l’ancienne au Sap in Normandy. 10) Along Came a Cider reviews 2 Towns Cidre Bouché 2016. Cider Says reviews Mayador Sidra Espumante, Mayador Sidra Natural, Cidrerie Daufresne Brut, Liberty Ciderworks Hewes Crab, and Manoir de Grandouet AOP Pays d’Auge Cidre. Cidercraft reviews Shacksbury Arlo. I Think About Cider reviews Le Père Jules Cidre Brut 2015. CiderScene reviews Bad Granny Hard Cider. The Milled Apple reviews Argus Ciderkin and Seattle Cider Pumpkin Spice. Cider Society reviews Graft Cider Hearth & Home, The Orchard Project Local Fox, Artifact Cider May We Have Your Attention Please, and Perry’s Barn Owl. The Cider Drinker reviews Burrow Hill Cider Bus. And Cider Explorer reviews West Milton Lancombe Rising, Starcut Ciders Immortal Jelly, and Ye Olde English Medium Dry Cyder.